This text is about one small field on the crossroads of statistics, operations research and computer science. 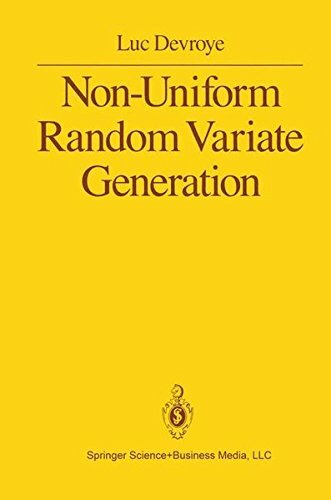 Statisticians need random number generators to test and compare estimators before using them in real life. In operations research, random numbers are a key component in large scale simulations. Computer scientists need randomness in program testing, game playing and comparisons of algorithms. This book introduces students to probability, statistics, and stochastic processes. It can be used by both students and practitioners in engineering, sciences, finance, and other fields. It provides a clear and intuitive approach to these topics.